For my third graders, I've put together a schedule that tries to include all the "extras" that the school doesn't give us, like Bible and typing. For starters, we're using the K12 curriculum. Well, mostly. 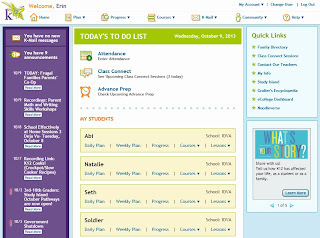 I really like the Math Plus; and the spelling and vocab lessons are great. The writing skills lessons aren't outstanding, but they will do, and the history, science and art lessons are plodding but adequate. Their literature and reading lessons are, in my humble opinion, terrible. The selections don't capture my kids' attention at all, which makes reading a drudge instead of a joy. For this reason, I've scrapped their reading selctions, book report and comprehension questions and chosen books that the kids love. 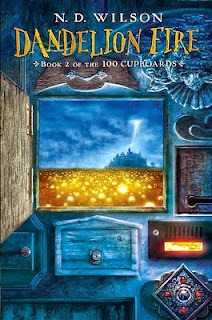 In my experience, when kids like what they are reading, they will naturally discuss it, comprehend it and remember it. For reading aloud, we've picked an adaptation of The Swiss Family Robinson, and for literature, we're reading Dandelion Fire, which we're all enjoying. I find I teach better if I enjoy the material too! In this day and age, being able to interact with technology is essential. Part of that skill involves an ability to type well. 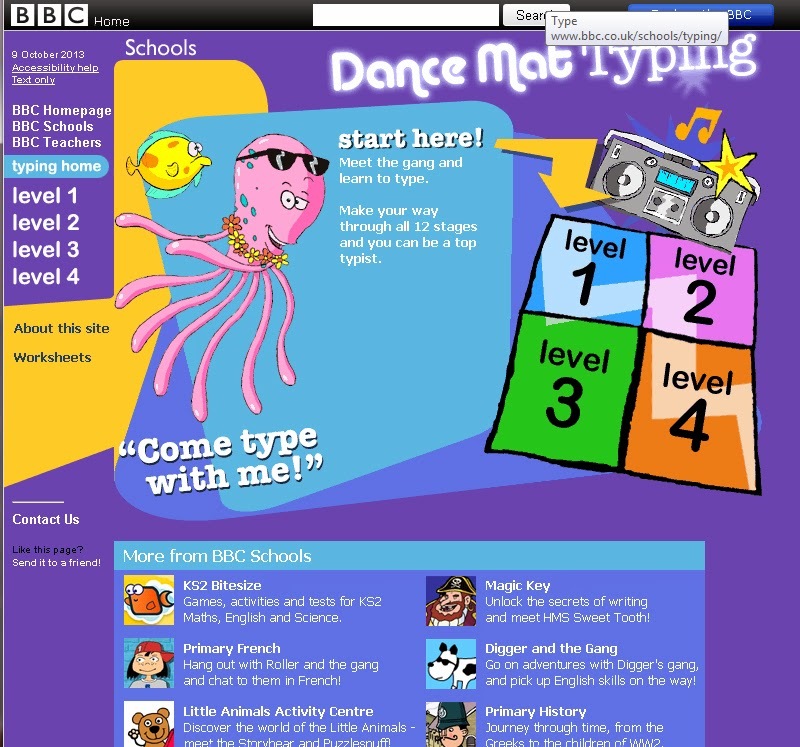 We're using a free website provided by the BBC called Dance Mat typing. Sometimes I go find typing games online for variety and practice. It's important to our family to study Amharic since we would like to visit Ethiopia again. 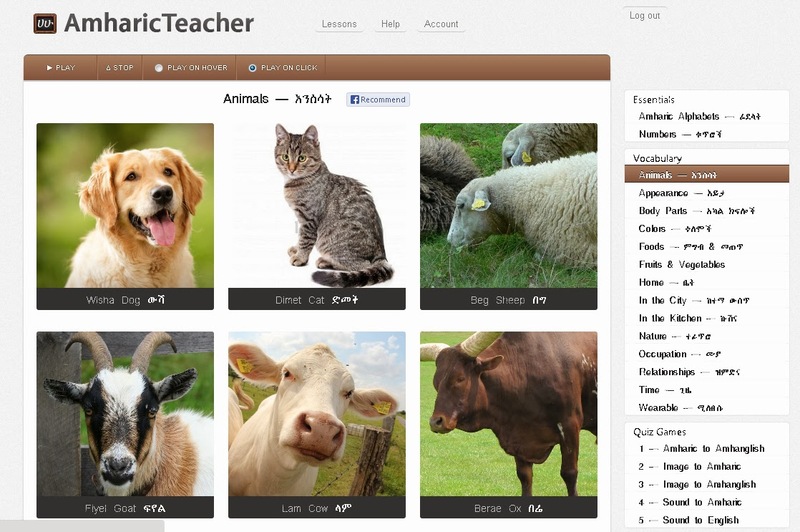 I found an online site that offers basic Amharic vocabulary for a small subscription fee called Amharic Teacher. Because it uses pictures and recordings of a native speaker, it appeals to both my visual learner and my aural learner. Every day at the start of school, we do a little competition called a "sword drill" in which we compete to look up a verse quickly. 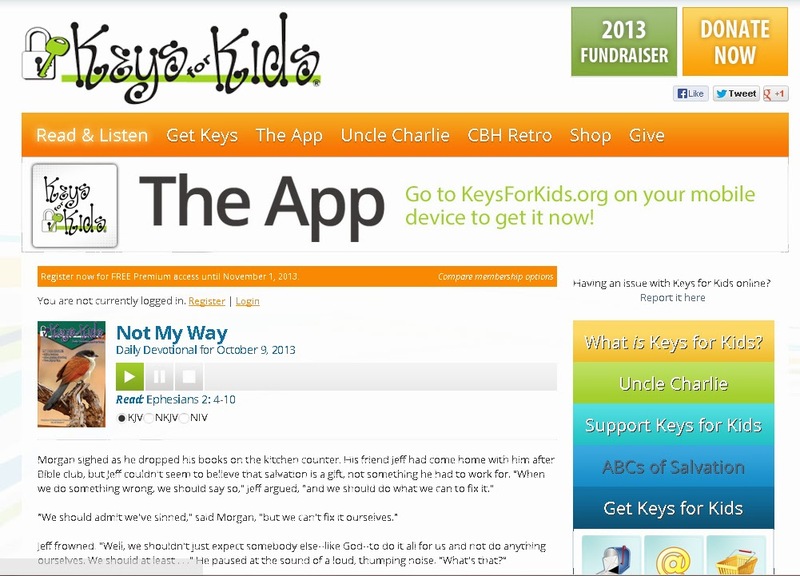 This encourages knowledge of the books of the Bible, as well as being a lot of fun. 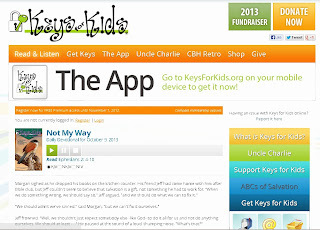 Then, we listen to a little lesson from Keys for Kids and do a memory verse. At night, Daddy does some music practice with each kid, and that wraps up a full, fun day of learning.